Because of the nature of it's work, it's protected by the highest levels of national security. To this day, no one goes in or out without first being searched by armed guards, including the commander. RADFORD (WSLS 10) - For 75 years, what has happened behind the guarded gates of the Radford Army Ammunition plant has been shrouded in secrecy. A perception the new commander, Alicia Masson, is working to change. 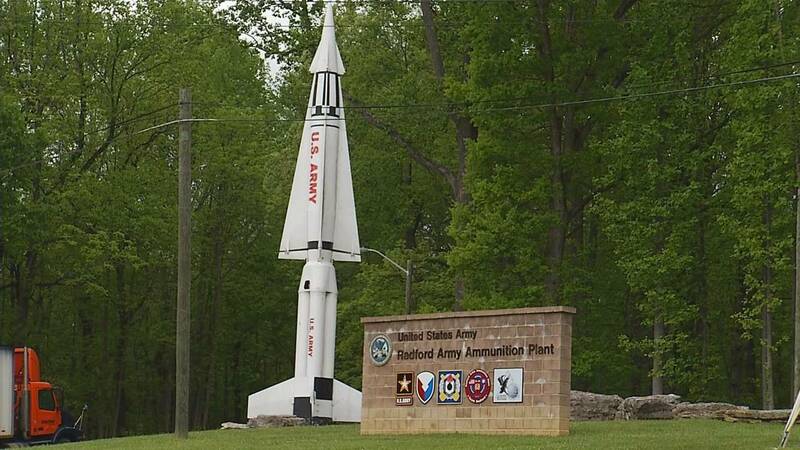 The Radford Army Ammunition plant supplies what it calls America's "warfighters" with propellants, energetics and munitions. Locally, it means jobs. The plant is the second largest employer in Montgomery County, the ninth largest in the New River Valley. Because of the nature of its work, it's protected by the highest levels of national security. To this day, no one goes in or out without first being searched by armed guards, including the commander. Not knowing what happens inside has only lead to speculation about what can be seen coming out. Recent pictures shared by environmental activist Erin Brockovich have people asking questions. 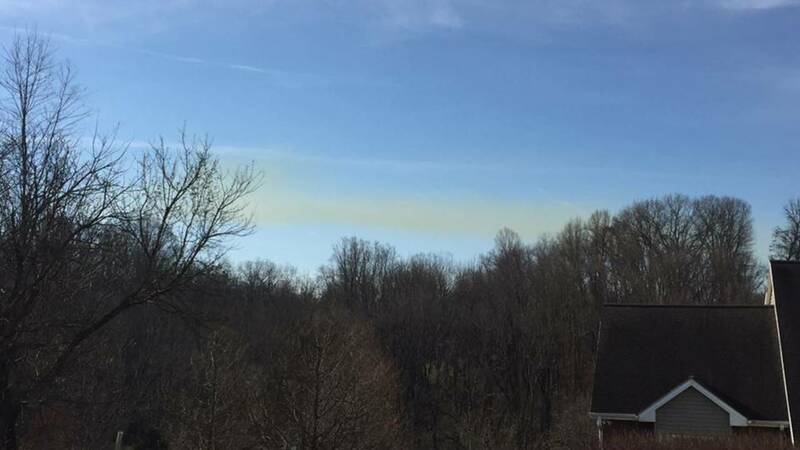 A green plume can be seen hovering over an open burn site on the ammunition plant. Many are concerned about what's in the air. That's where founder of the Environmental Patriots of the New River Valley Devawn Bledsoe comes in. "It's what comes out of the Radford Arsenal that's making people sick here," said Bledsoe. A message she's been working to get to the surrounding public. 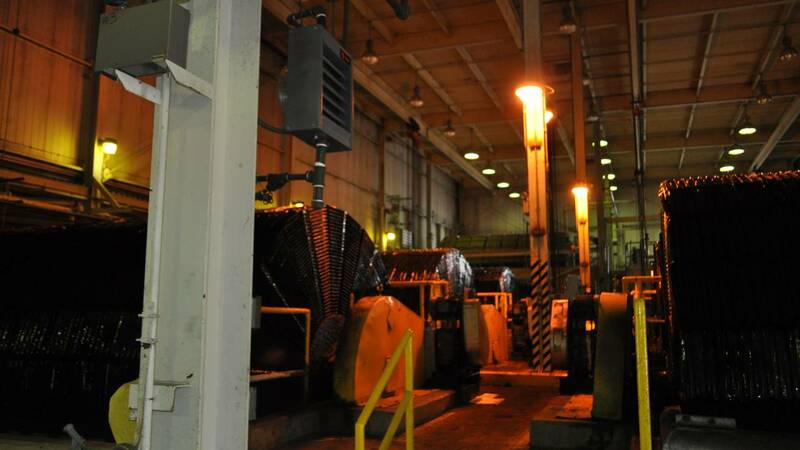 All activity at the plant is monitored and permitted not only by the Department of Defense, but the Environmental Protection Agency and the Department of Environmental Quality. 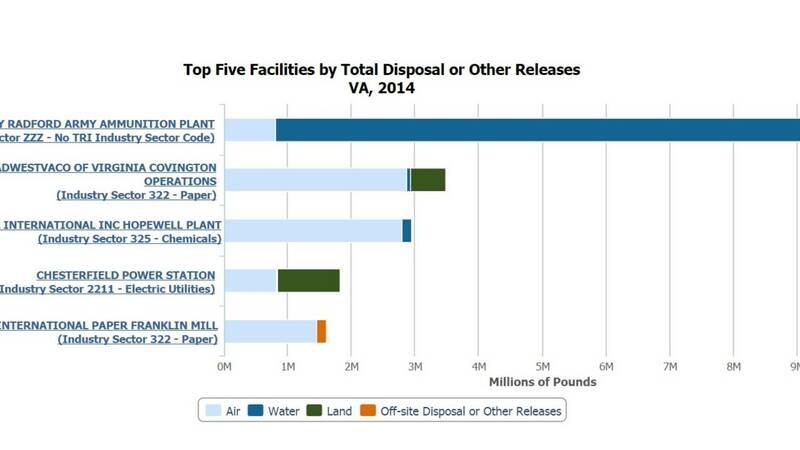 According to the EPA., the Radford plant ranks as the number one polluter in the commonwealth for the past 13 years. Each year it puts out more than 9.2 million pounds of pollution. That's more pollution than the next four highest polluters combined. 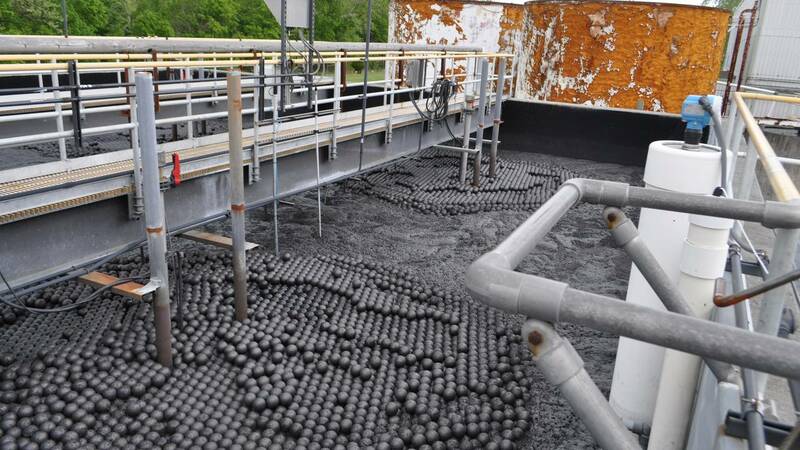 More than 8 million pounds of that is dumped into the New River, while 798,000 pounds is released in the air. What may surprise you is that it's all legal. 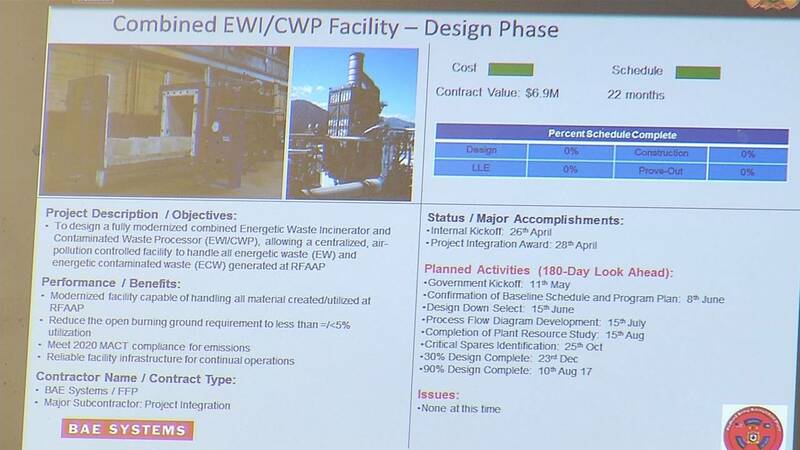 In fact, WSLS 10 learned the government granted 17 permits to the army ammunition plant. RAAP's disposal of hazardous waste is compliant with those permits. Gregory Nelson grew up next to the plant. He took the photos that were later shared by Erin Brockovich that started the firestorm. "I was farming and growing food and experimenting on my families land with growing crops. I'd always been outside, so I've smelled and heard a lot of things," Nelson said. He wants more testing, especially around nearby Belleview Elementary School. Local environmentalists like Nelson and Bledsoe are most concerned with the open burning. It's an issue that's personal to Devawn Bledsoe. In 2007, she was diagnosed with thyroid disease. She says she's upset about the amount of pollution emitted. "I'm concerned and I'm disgusted that the U.S. Army is allowing this to happen," Bledsoe said. Erin Card lives with her husband and three children less than two miles away from the plant. "It's pretty scary. We are concerned. From our house you can see the smoke in the sky above the arsenal. We're pretty concerned, we don't know what it's doing to us," said Card. "I've had friends diagnosed with cancer. My husband has been diagnosed with cancer recently." But it was when her baby was diagnosed with an unusual condition she began looking for answers. "My four-year-old, within the last year had a cyst on his neck that was very close to thyroid," continued Card. 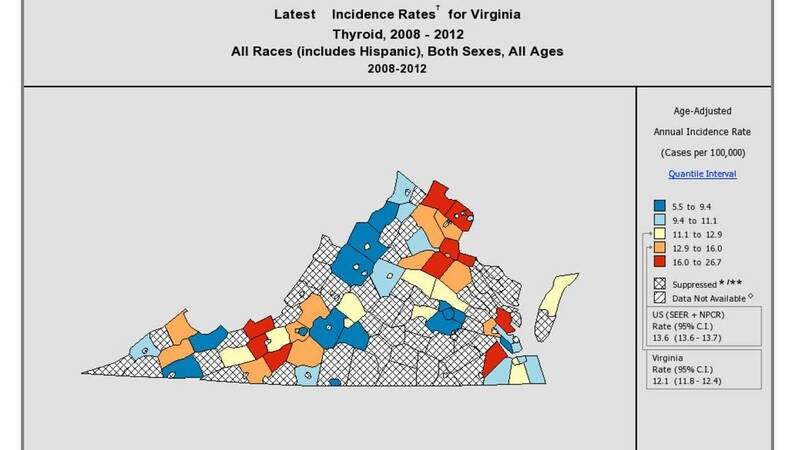 Data collected by the CDC and the National Cancer Institute shows that the three counties surrounding the plant, Giles, Floyd and Pulaski, have among the highest rates of thyroid cancer in the state. Between 10 and 18 people are diagnosed each year. However, there is no scientific proof to link those statistics to the plant in any way or any other cause. 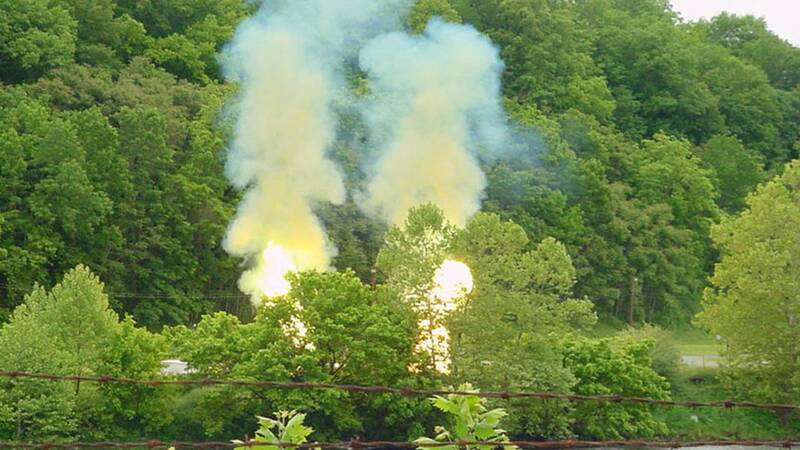 When we brought these concerns to the Radford Ammunition Plant, they were very forthcoming. In fact, they suited us up in safety gear and gave us a tour of the property. LTC Alicia Masson said normally access is restricted to the public, but she wants to be open and answer those concerns. 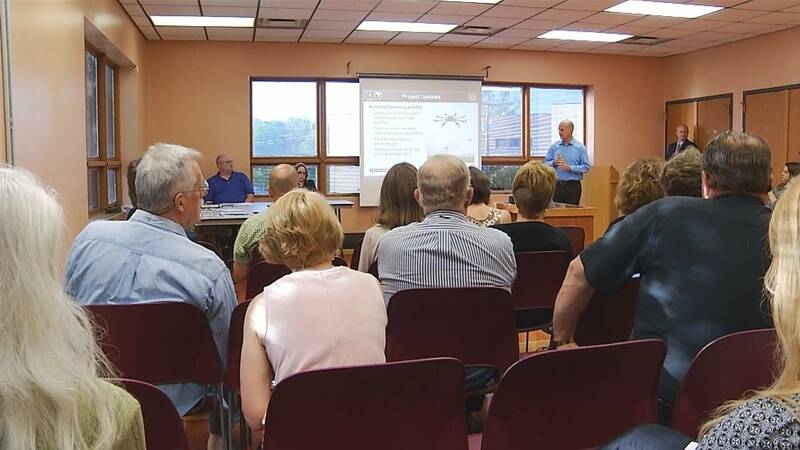 Public concerns are addressed at an informational meeting at the Christiansburg Public Library now 5 times a year. "I think there is value and being open and genuine," Masson said. To date, Masson has been the most open of any commanders at RAAP. Wanting to work with environmentalists, she's increased the number of voluntary public meetings from two to five a year. Masson is the first female commander in the plant's history. A Colorado native, she considers herself an environmentalist at heart. While on the tour through the facility, we saw a wealth of wildlife, including large deer, ducks and wild turkey. Masson said occasionally bears will also be spotted. There they live free from hunting because the property is protected by the federal government. Masson said in the past year alone, several major projects have begun to help the plant become more environmentally friendly. She has spent the past 11 months of her assignment at Radford to resolve the public's fears. she says is worth it to better foster an understanding of what RAAP does. She escorted WSLS 10 through some of the most secure levels of the facility. Video was prohibited in some areas, but photographs were provided. Along for the tour, bioengineer and Chief of Operations Rob Davie was there to explain some of the facilities. "It needs modernization," Davie said. Davie is part of the team that Masson describes as a talented group of individuals who work at RAAP. "We've been going through a long process of getting money in place. We have terrific support form the Army and from an operating contractor [BAE] so we are now in the process of getting those in place," continued Davie. Inside the property at the ammunition plant, we could start to see some of those environmental efforts the commander was talking about. She said one of the biggest concerns is the coal-fired plant. This spring they just broke ground on a new natural gas energy center, which she said will vastly eliminate the amount of pollutants emitted. Davie showed us three large, elaborate water treatment facilities on site. 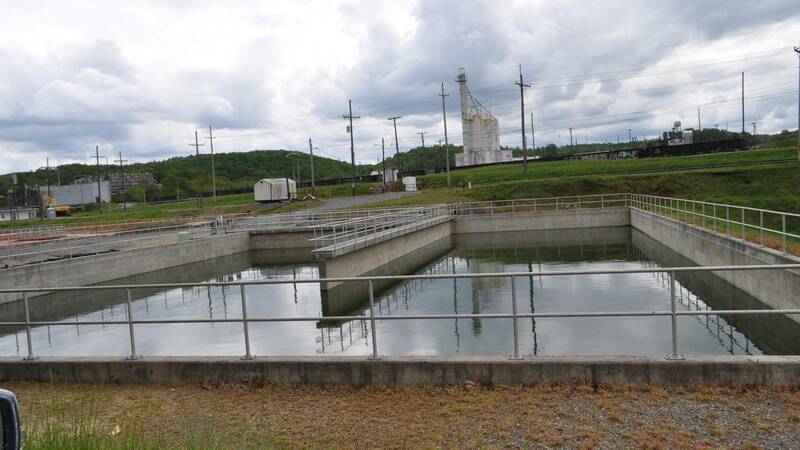 "We treat all water that goes back into the New River," Davie said. A treatment process that is regulated by the EPA and the Department of Environmental Quality. Recycling is also a major focus, especially with alcohol and acids used. Davie said 98-percent of the acids used are recycled. 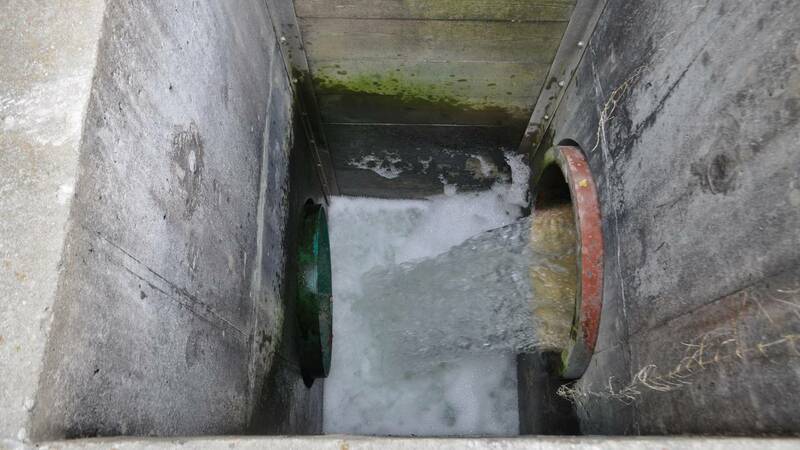 All water used in any process is run through a rigorous filtration process before being returned to the New River, using organic microbiological organisms that are natural to the environment. During the tour, a mother duck and a number of her ducklings could be seen swimming in the recycled water pond. When we asked Davie if the water is safe, he answered almost immediately. "Absolutely, it's safe," Davie said. Masson confidently answered yes to the same question. In fact, she lives in housing on site at RAAP. Not only is it vital to the community's health, it's vital to hers. That's why she says she can confidentially answer. The DEQ released a health survey that supports that answer. The survey concluded that the local drinking water was not affected by activity at RAAP. As to resident's concerns about open burning, the current incinerator can't safely burn all the waste produced by the plant, but a new one designed specifically for RAAP will reduce the amount of open burning. The design phase of the project began in 2016. The quantity is predetermined based on safety by a computer. It's a very controlled process. Masson says only two to three percent of all waste there is burned, and that's only material that she says cannot be safely disposed of in any other way. "Some of that stuff, like a foreign object or screw, if it goes into the grinder and it sparks in any way, it can actually detonate that building. That places lives at risk," Masson said. In the meantime, more testing is on the way. Starting in September, drones will be used to test the air over the open burns. "We do provide something to national security that we have to keep providing." Masson said. Although they sit on opposing sides of the room, Masson is finding common ground with environmentalists, as well as looking for new ways to make products that protect our country and our environment.